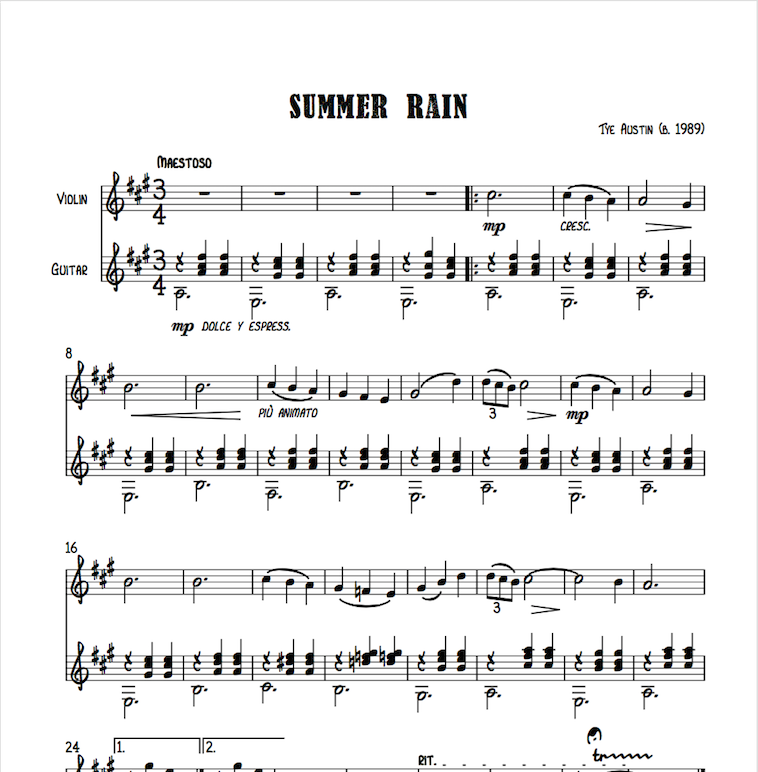 Composed for violin and guitar in 2013, this piece was inspired by a summer rainstorm in Southern Oregon. This is the prelude to a three-movement suite based on the creative muse of water. Watch a video and preview/purchase the score below.